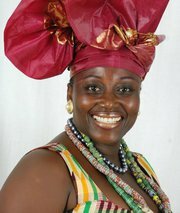 Akumaa Mama Zimbi: a Ghanaian women’s rights leader committed to enhancing the status of underprivileged women in Ghana. International Women’s Day, 8th March, marks the many achievements of diverse women (past and present) around the globe. However, this day contrasts with the poignant reminder that some women are not given opportunities to excel or achieve. In particular I think of women in Saudi Arabia who are denied the right to practice recreational and competitive sport, and it was announced last month that the country will not be sending a female competitor to the London Olympics. Over the years, the number of countries not sending female teams to the Games has decreased: 35 in Barcelona (1992) 10 in Sydney (2000) and Saudi Arabia will be the only country in 2012. Choosing to focus positively on women’s achievements, I draw your attention to a Geographical Journal paper that has a sense of celebration for young Ghanaian women seizing opportunities towards employment and entrepreneurship (Langevang & Gough, 2012). The paper contributes generally to literatures on globalisation, economic restructuring and labour market transformation in sub-Saharan Africa, but specifically focuses on young women developing their skills through hairdressing and dressmaking (two of the main trades Ghanaian women are likely to enter). The paper provides systematic analysis of opportunities crafted (via globalisation and changing opportunities), seized (by trade associations and individuals ) and perceived (through individual experiences and perceptions of these professions). While dressmaking is shown to have stagnated in recent years, hairdressing has modernised and developed where trade associations have been able to respond positively to expanding markets, and provide support for members. Many of the young women at the heart of Langevang & Gough’s paper are show to have strong entrepreneurial associations by way of taking opportunities to professionalise. It is this evaluation of their skills and aspirations that connects these women with the spirit of International Women’s Day. This entry was posted in Early View, The Geographical Journal and tagged Development, Economic Geography, entrepreneurship, Ghana, Hairdressing, International Women's Day, Saudia Arabia, Women, Women in the Olympics, youth employment on March 13, 2012 by fionaferbrache. 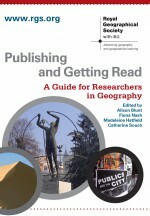 This entry was posted in Content Alert, Early View, The Geographical Journal, Transactions of the Institute of British Geographers and tagged Content Alert, diaspora strategies, Early View, East Africa, employment, entrepreneurship, Ghana, Indian government, Jen Dickinson, Katherine V Gough, microenterprises, Migration, post-colonial modernism, Royal Geographical Society (with the Institute of British Geographers), Thilde Langevang, Women, Youth on February 17, 2012 by anonuser.